All the paid internet forum softwares are mobile friendly. This forum software comes with a responsive theme out of the box. It means that you install it and you don’t need to modify the CSS files or PHP files. It features an advanced customizer so that you don’t need to install any additional themes. SEO features like the SEO friendly URLs are delivered with the original forum package. There is also another SEO feature that I like; this is the NOFOLLOW tag on external links. This is very important to avoid getting penalized by Google because someone posted a spammy website link on your site. Xenforo has many embedded security features to avoid spams like the custom captcha feature. Thanks to BBcodes it is possible to embed Youtube, Dailymotion, Imgur, Pinterest, Flickr and Facebook resources in the posts. You can also create your BBcodes to include embed from other platforms. There is an advertising feature that allows you to add advertisements to your forum at different locations (Forum, breadcrumb, member view, thread view, post…). Also, you can create user upgrades which allow you to create a paid membership to access a forum category. 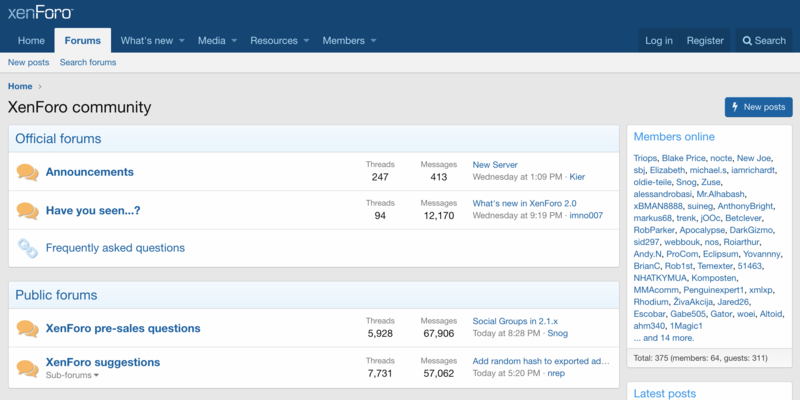 In our opinion, Xenforo is the best internet forum software today. Vbulletin is the most popular internet forum software on the internet. Usually, the most successful forums are powered by Vbulletin. It is an industry standard. It features forums, groups, polls, blogs with SEO friendly URLs, custom META keywords and description tags. Administrators and moderators have different panels. It also includes Captcha protection, email verification, group customization. 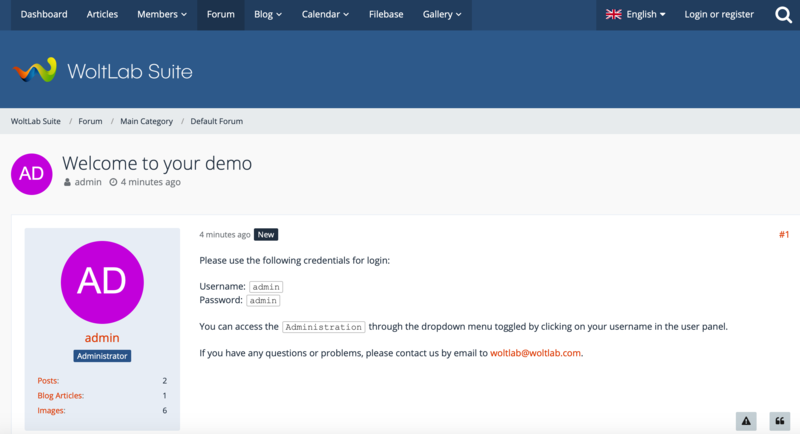 You can create a paid private forum with a subscription. In our opinion, Woltlab has the best design and layout out of the box. This internet forum software comes with a flat & responsive design that I find perfect for readability and look. Woltlab features a “like” management system, a ranking system, a trophy system. It is possible to set up a paid membership to access VIP forums. The default payment gateway is PayPal.